Exactly a month ago, I shared my Post- IntelliZENce. This post is very dear to me as it earned me the WOW badge from BlogAdda & one of the highest number of comments in my blog and a lot of appreciation. The concept of futuristic IntelliZENt smart technology appeals to everyone. I was struck by the futuristic idea. I feel this is sure to happen in the future. 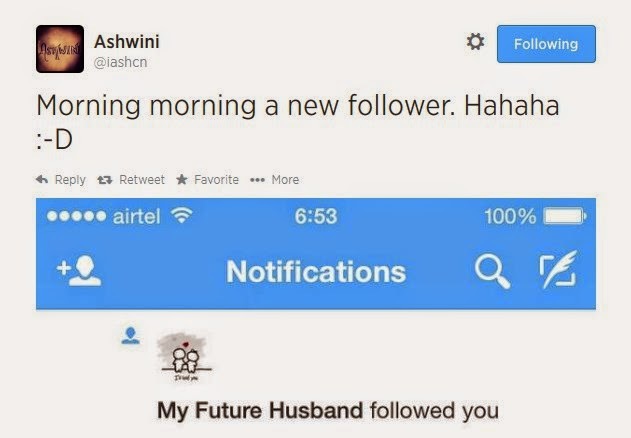 One day, Technology will be so smart that it will predict who our compatible life-partner will be & will also smartly notify us when the latter starts "following" us! Our "future partner" will dutifully "follow" as he/she has in turn been notified that we are the perfect match! You might laugh it off & say it's FUNNY! As I wrote in my Post- IntelliZENce : "What is funny at one time, is serious in another!" Two days ago, my cousin shared a message with me. It is a probable scenario in the future, in 2020, concerning Aadhaar Card. 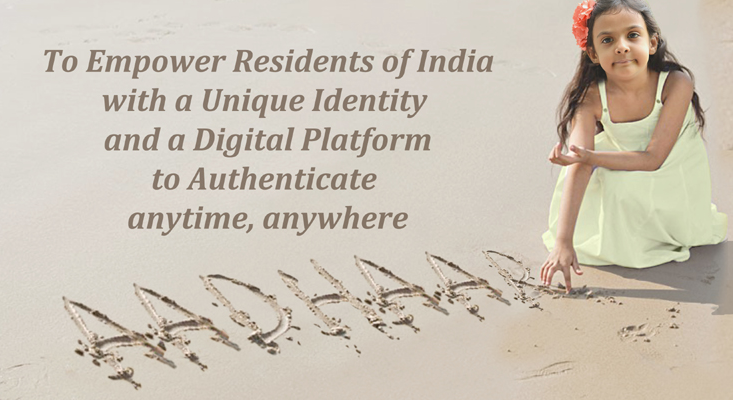 The Aadhaar serves as a proof of identity and address anywhere in India. Sharing the message for you. ⚡Operator : Can I have your multi purpose Aadhar Card number first, Sir? ⚡Operator : OK... you're... Mr SYED and you're calling from 155, 1st Cross. Panduranga Nagar, BG Road, Bangalore. . Your home number is 26490786, your office 22211379 and your mobile is 9880088786. You are calling from you home number now. ⚡Operator : We are connected to the system, Sir. ⚡Operator : That's not a good idea, Sir. ⚡Operator : According to your medical records, you have high blood pressure and even higher Cholesterol level, Sir. ⚡Operator : Try our Low Fat Hokkien Mee Pizza. You'll like it. ⚡Operator : You borrowed a book titled 'Popular Hokkien Dishes' from the National Library last week, Sir. Customer: OK, I give up... Give me three family size ones then. ⚡Operator : That should be enough for your family of 07, Sir. The total is Rs. 2,450. Customer: Can I pay by Credit Card? ⚡Operator : I'm afraid you have to pay us cash, Sir. Your Credit Card is over the limit and you owe your bank Rs. 1,51,758 since October last year. That's not including the late payment charges on your housing loan, Sir. Customer: I guess I have to run to the neighbourhood ATM and withdraw some cash before your guy arrives. ⚡Operator : You can't, Sir. Based on the records, you've exhausted even your overdraft limit. Customer: Never mind. Just send the Pizzas, I'll have the cash ready. How long is it gonna take anyway? ⚡Operator : About 45 minutes, Sir. But, if you can't wait you can always come and collect it on your motorcycle. ⚡Operator : Is there anything else, Sir? Customer: Nothing.! .. by the way... aren't you giving me those 3 free bottles of Cola as advertised? ⚡Operator : We normally would, Sir. But, based on your records, you're also diabetic... In the best interest of your health, we are withholding this offer for you. ⚡Operator: Better mind your language, Sir! Remember on 10th July 1986 you were imprisoned for 3 days and fined Rs.5,000 for using abusive language against a policeman...? I did read about how the world will look like in 2020. The problem is when all our sensitive details are not guarded properly, it might pose a risk. My pleasure! You are a celeb :) Thanks for the great tweet! No one knows what'll happen in reality, Ankur. Do hope that Indian companies like Airtel rule. Thanks for sharing your thoughts, Bhavana. Yes, Aadhaar Card will have many far-reaching applications & implications. As for Smart Technology Match-making, in the future, software can evaluate "best" possible match out of list by evaluating likes & dislikes of candidates. Out of that list, we can get a shortlist of the people who'll be best compatible with us as their "nature", "personality" & "interests" match with us. They say- 'Marriages are made in Heaven'. Yes, the Rajnikanth-Aishwarya Rai starrer, Robot movie had a Robot falling in love with a human. There are many possibilities & no one really knows the future!